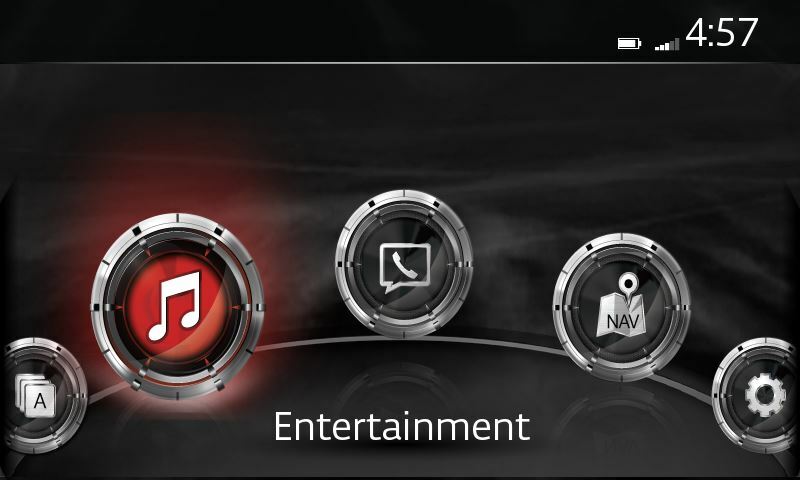 Aha™ Radio—Use your phone to easily access and organise your favourite content from the web into personalised, live, on-demand stations, then sync the experience to your car with your paired smartphone with Bluetooth® connection. For more information, visit http://aharadio.com. 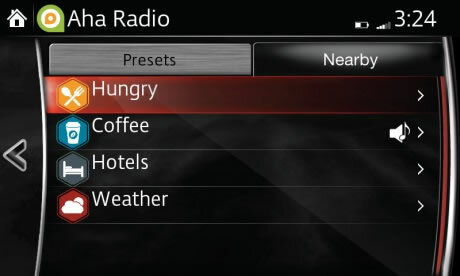 Select some preset stations on your device to customise your Aha™ Radio menu. – If you want to access your Facebook or Twitter via Aha™ in your vehicle, you will need to associate your Facebook and/or Twitter accounts to Aha™ using your smartphone or computer and add them as a preset. – Aha™ requires data usage of between 30-60MB per hour of audio; check your plan to see if additional fees will be incurred. Select MAIN MENU to display stations. Make your selection. 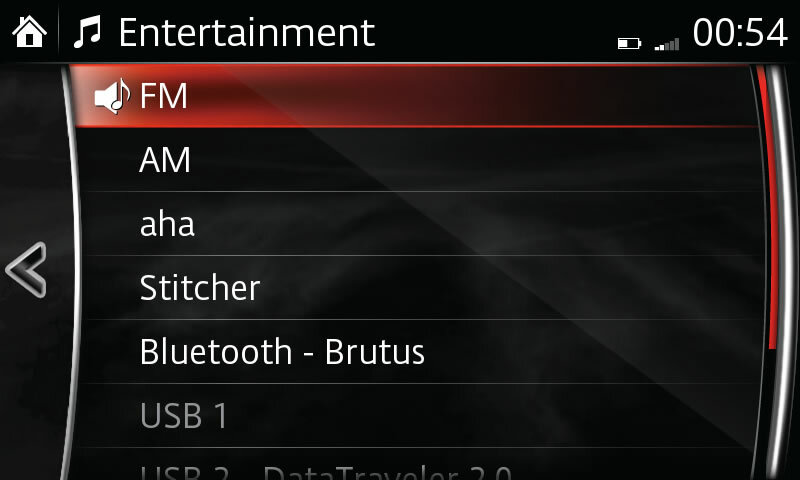 Select PRESETS tab to display preset station list on device. Make your selection. Select NEARBY (Nearby services) tab to display COFFEE, HUNGRY, HOTELS or WEATHER. Make your selection. Select SHOUT to record a 30-second voice message, Select SAVE to store and post on Facebook or Driver Rants. Select CALL to call the number of a business searched for using Nearby services. Only available when device is also connected as phone. Shout records a maximum of 30 seconds. Recording stops automatically 30 seconds after start of recording. Recording can be saved or deleted. 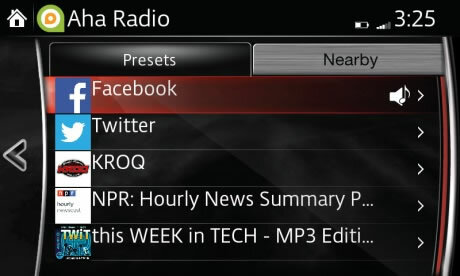 To access your Facebook or Twitter via Aha™ in your vehicle, you must first associate your Facebook and/or Twitter accounts to Aha™ using your smartphone or computer and then add them as a preset. To learn more, visit http://aharadio.com. Select NEARBY (Nearby services) tab. Not all Nearby Services on your device/phone (such as Traffic, Slacker and certain radio stations) may be available via the Mazda system due to licensing and region restrictions.